All golfing eyes were focused on Perthshire’s pride and joy, Gleneagles, in 2014 following the momentous staging of the Ryder Cup, and unquestionably the ‘Palace in the Glens’ – home of three stunning 18-hole courses – is a magical place to play and stay. However there’s a lot more to offer if you venture north of Edinburgh and Glasgow than the 2014 Ryder Cup venue. Indeed Perthshire alone is awash with a terrific variety of courses ranging from the two wonderful layouts at Blairgowrie (Rosemount & Landsdowne) to the sensational wee nine-holer of Comrie. Blairgowrie is playable year-round and is offering a number of low-season deals, including £150 for a fourball throughout October while between January and March you can play the prestigious Rosemount course for just £30 with a coffee, bacon roll and one-course meal thrown into the mix! Another top deal, available until April 30, 2015, is an overnight dinner, B&B stay at The Red House Hotel, Couper Angus, and a round on both courses for £120pp. 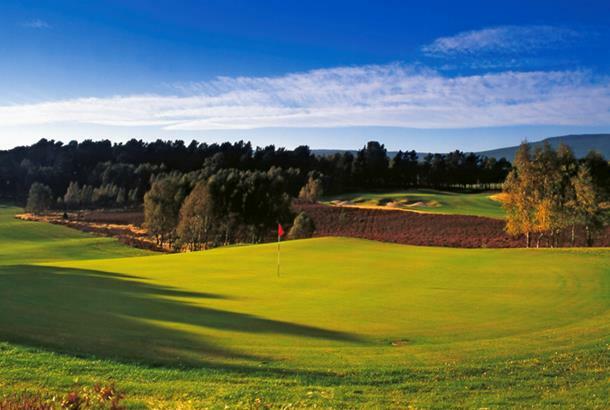 In Perth itself, quirkily perched on Moncrieffe Island you’ll discover the unique King James VI course. The winter warmer deal (from November 1, 2014) is even better – a tenner for 18 holes, soup and a roll. 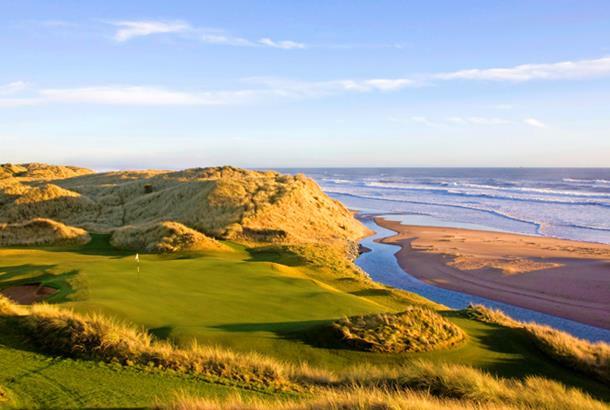 Aberdeenshire has long been a golfing paradise owing to leading links Royal Aberdeen and neighbouring Murcar but has now gone up a notch since the 2012 opening of the awesome Trump International Golf Links just outside the Granite City. Owner Donald Trump claims it’s the “world’s best course” and to be honest he’s not far off the mark. Don’t be surprised to see it hosting major events in the not-too-distant future. TIGL is closed for the winter but stick it in your diary for 2015. The same applies to Scottish Open venue Castle Stuart, the new shining star of the Highlands. 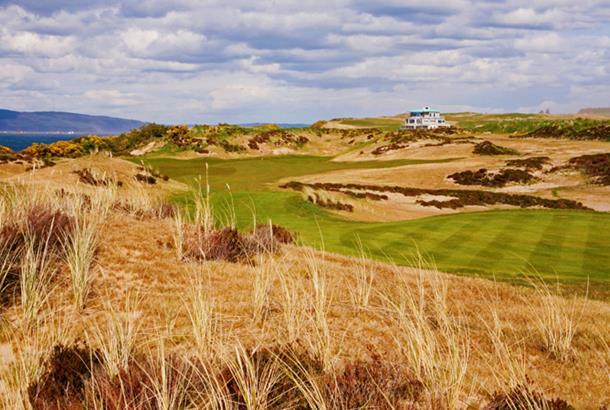 It has joined the breathtaking Royal Dornoch as a ‘must play’ in the area. Most visitors agree links golf doesn’t get any better than Royal Dornoch and you can experience it on the cheap thanks to the Dornoch Firth Golf Pass (dornochfirthgolf.co.uk) which costs £40 and entitles you to 30 per cent off when you play Royal Dornoch’s Championship Links and Struie courses, as well as Brora, Golspie and Tain. The region’s less-familiar attractions include Boat of Garten, a hidden gem of the Highlands, and Brora: this ancient links is another timeless James Braid design and everyone who plays it comes off buzzing – and not just because they accidentally touched one of the green-protecting electrified fences! It is more likely to be because it is one of the most enigmatic, exhilarating links in the world. Another lovely but under-rated seaside track is Fortrose & Rosemarkie where the sensational Moray Firth views are worth the green fee alone. Another highlight, this time inland, is the Dave Thomas-designed Spey Valley, which sits underneath the Cairngorms with the river Spey running through it. “There is nothing more enjoyable than playing a challenging round, your only distraction being the panoramic scenery or choosing your next club. At Spey Valley, you get that in abundance,” says Sandy Lyle. Angus is the home of arguably the toughest links of them all – formidable Carnoustie, widely regarded by pros and hackers alike to be no.1 when it comes to a serious golfing examination. Nearby you’ll find Braid’s tight and challenging Panmure where Ben Hogan practised for his only Open appearance, and subsequent victory at Carnoustie in 1953. Pick of the region’s inland layouts is Downfield, which provides pure parkland pleasure and is a splendid foil for the nearby links greats. Set in beautiful parkland, Dundee’s premier course had the distinction of being a Final Qualifying venue for the last two Carnoustie Opens.